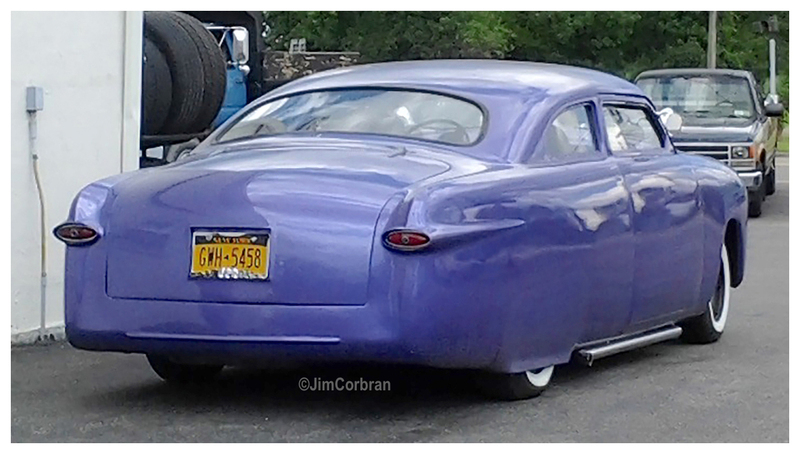 Now this takes me back… It’s a 1950 Ford, odds are a Business Coupe or a Club Coupe — but it’s hard to say what with that crazy chopped top! This car reminds me of the model cars we used to build back in the day (although I never mastered the chopping of tops): fender skirts, side pipes, rolled pans, custom grille, no bumpers... lots of work went into this one. And I love the wide whites on the black steelie rims — a great period look. This one was seen in a Niagara Falls parking lot last year.